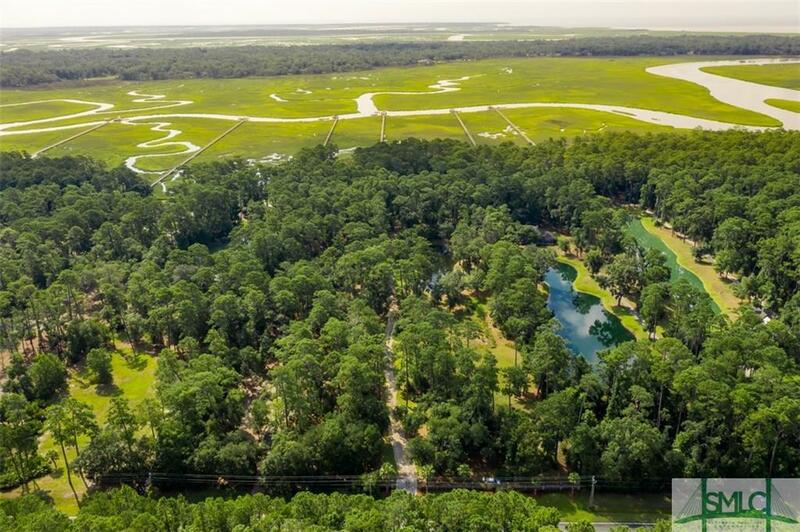 Rare to the Market- this Private 5 Acre Deepwater Estate offers the Ultimate in Coastal Lifestyle Living!! 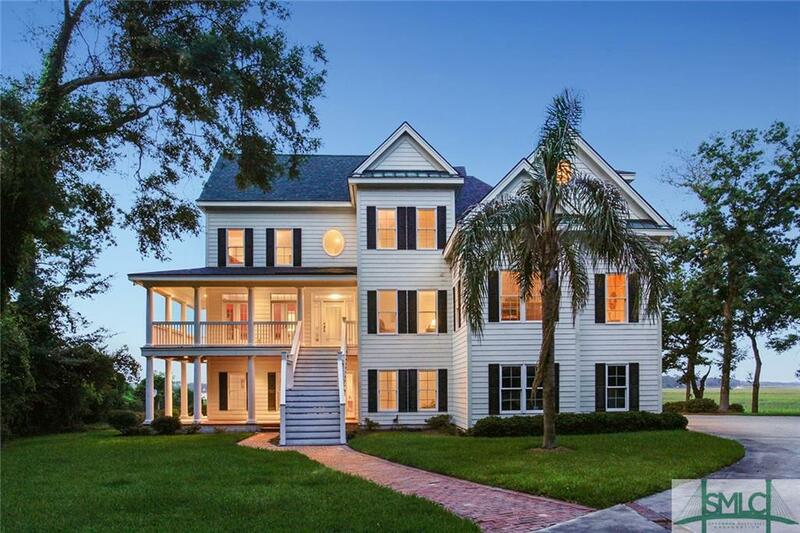 Located on Prestigious Green Island Road, this Custom Built home provides easy access to the Intercoastal Waterway and Deepwater at all tides. 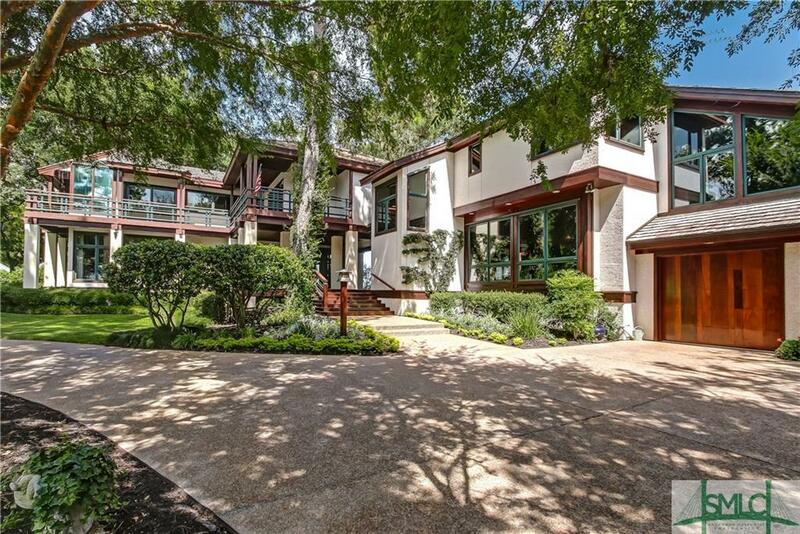 Quality Crafted- 5600+ sf home, offers 6 bedrooms, 5 full/ 2 half baths features reclaimed heart pine floors and marble baths throughout. 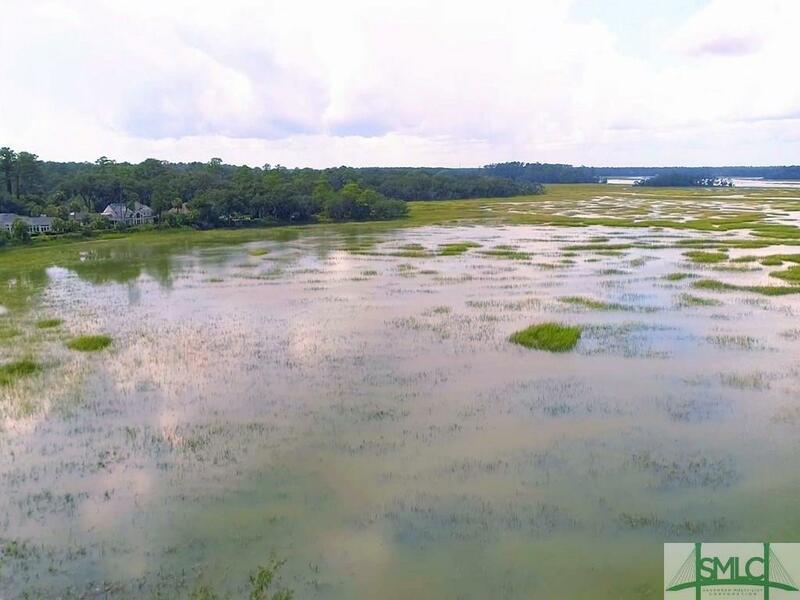 Sweeping marsh views from almost every room, you will find the spacious master suite, office/bedroom on first level. 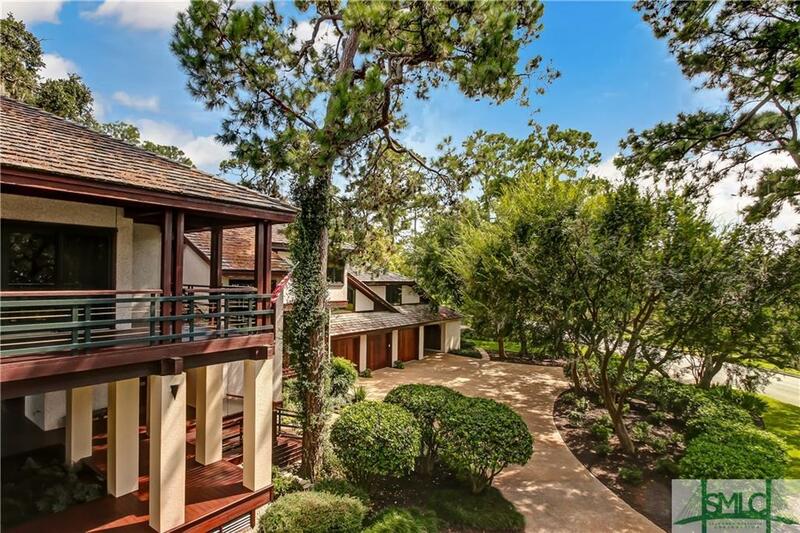 An EntertainerGÇÖs Delight- featuring living & dining rooms, game room, and an expansive gourmet kitchen that allow access to the pergola covered patio and outdoor dining spaces. 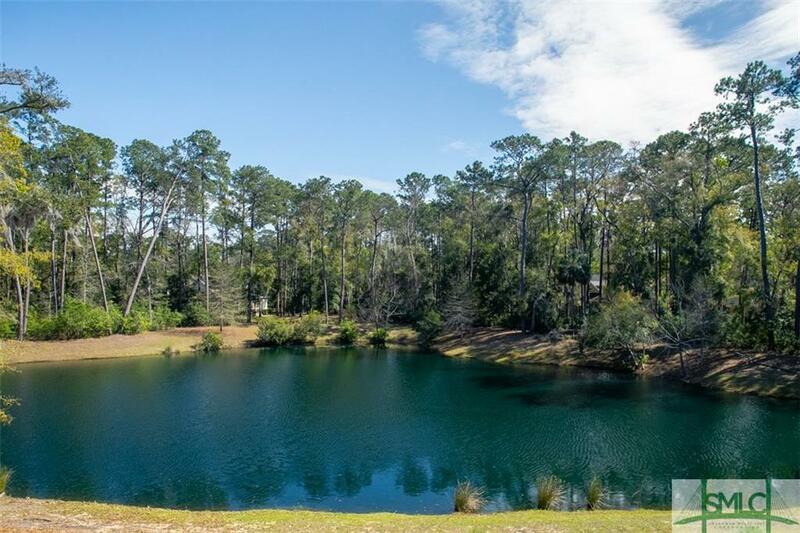 Exceptional Outdoor Spaces--ástocked pond, 2 story dock, fire pit, outdoor fireplace, potting shed, raised gardens. 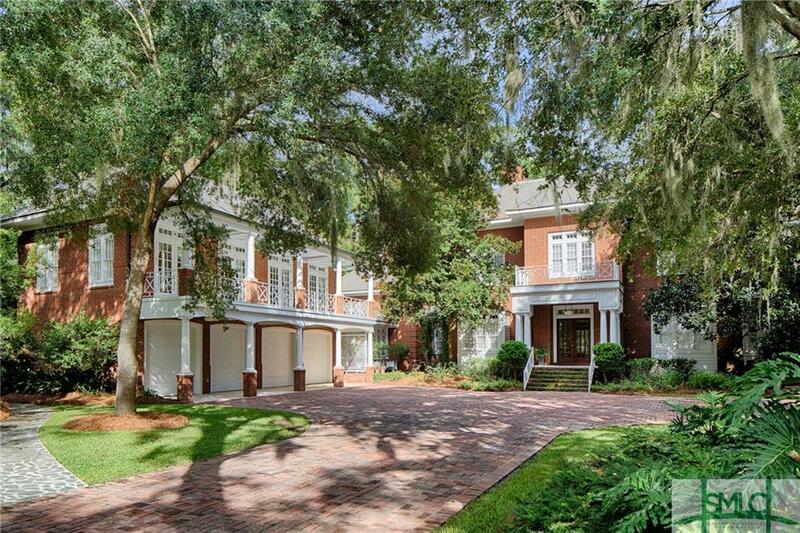 For the Hobbyist-separate detached carriage house apt. houses a two car air conditioned workshop. 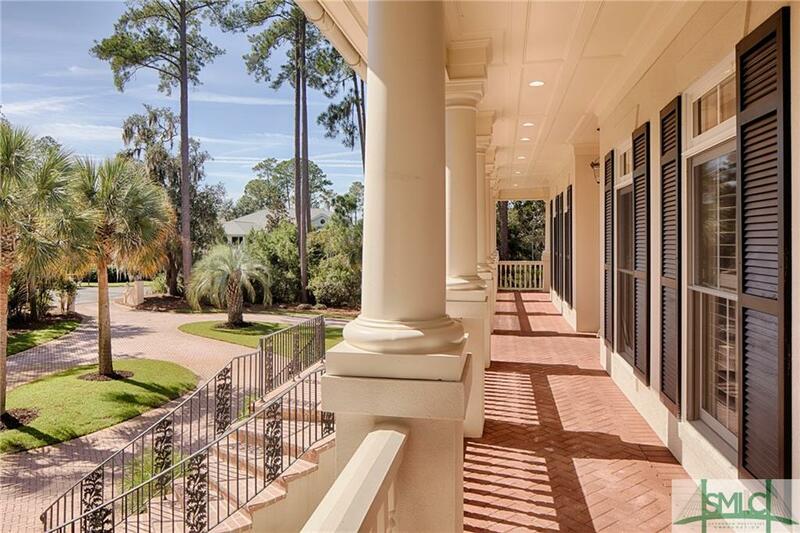 County Club Living-accessibility to all The Landings Amenities and Marinas without any restrictive HOA. 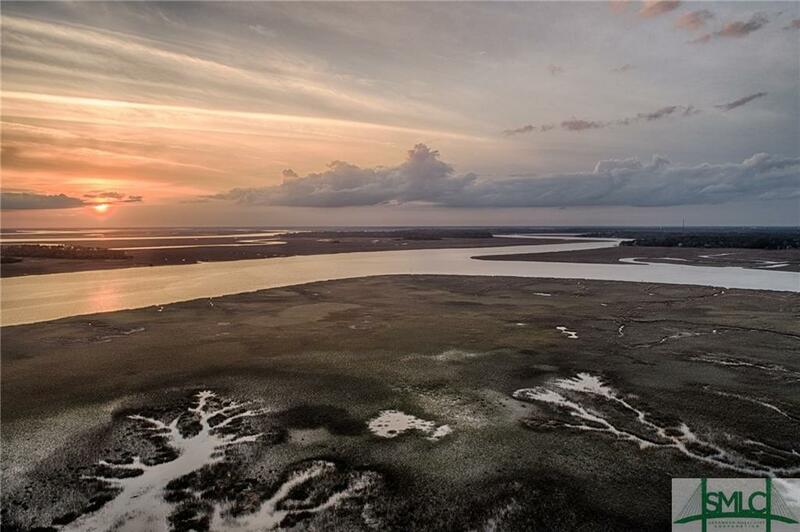 Enjoy THE best sweeping views in Savannah, where the Skidaway & Wilmington Rivers join! 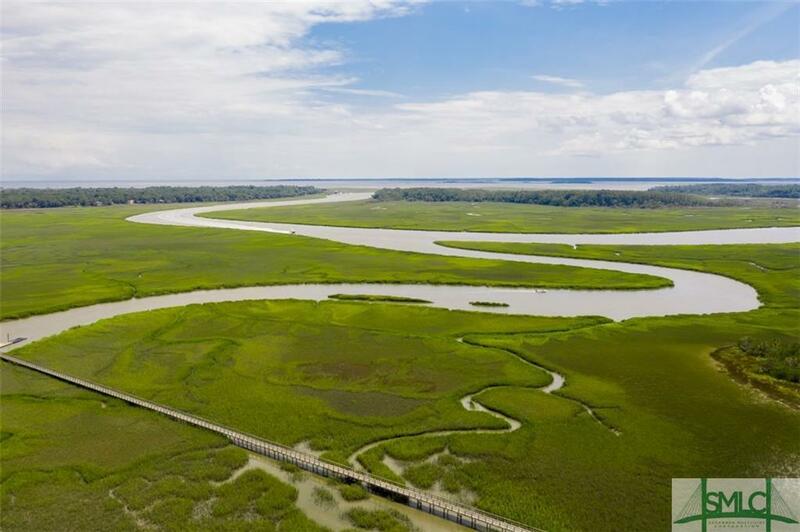 Views to Thunderbolt, The Yacht Club, Wilmington Island and even glimpse the Talmadge Bridge. 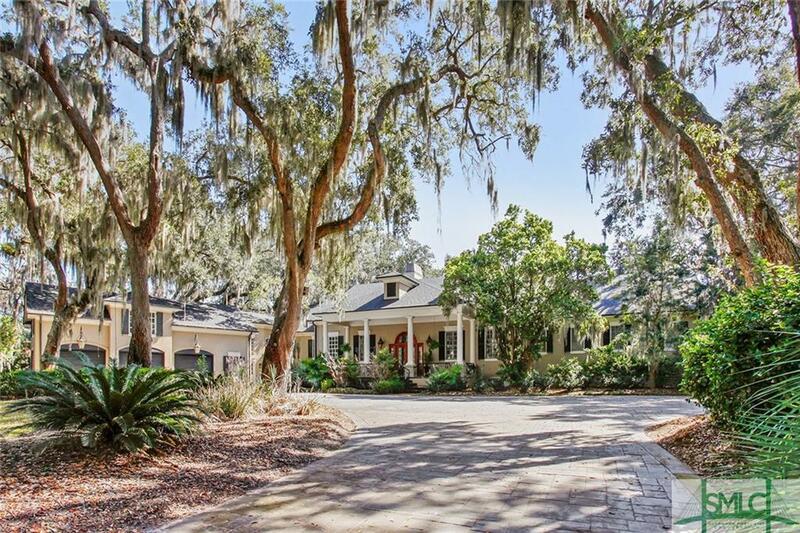 4,845 sf of playful island living on almost an acre of manicured lawn with private Dock and EZ dock. Local harvested and milled Green Island Heart of Pine flooring throughout, abundant natural light, storage and space. 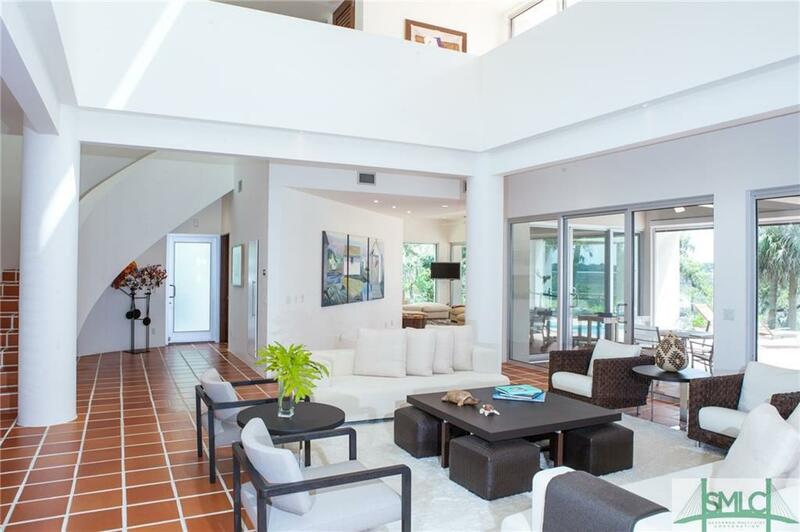 Main Floor boasts, bright kitchen/breakfast room, separate dining room, airy great room with 22GÇÖceilings, master retreat with FP and sitting area, oversized bath and custom closet, a large media room and cozy study. Upper Level has 3 Bedrooms each with private bath for your guests. Mezzanine Level with separate entrance, and living space is the perfect in-law suite with 2 Bedrooms and Jack and Jill bath and craft/music room. 3 car garage with workshop and plenty of storage for your water toys. New roof, 2/3 HVAC units are new. James Hardie siding and TREX decking for low maintenance. 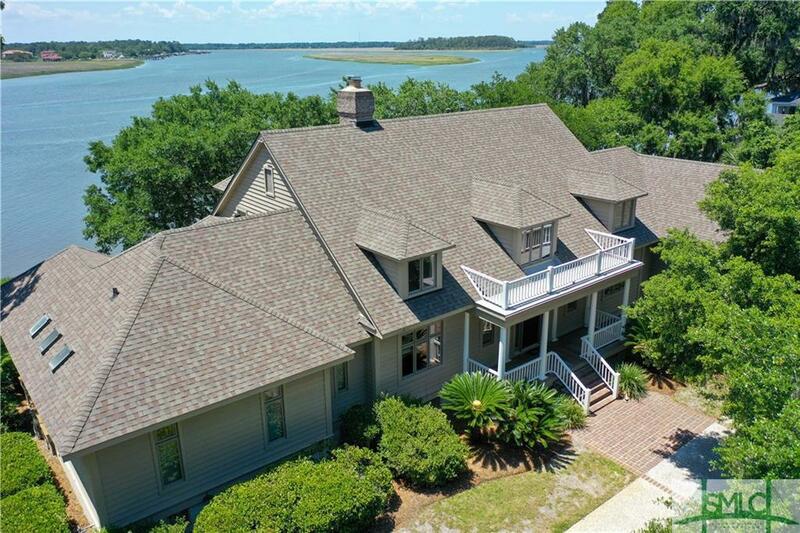 This magnificent waterfront home in the heart of The Landings on Skidaway Island offers convenient living with a large master suite on the main floor and incredible privacy. 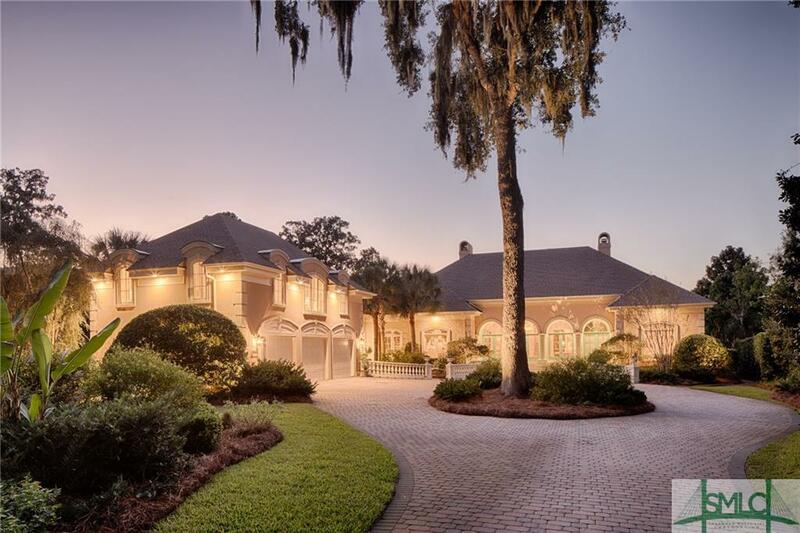 Modeled after classic Tuscan architecture, this elegant 3-bedroom, 3-bath, 2-half-bath estate features open living spaces, exquisite marsh views, marble and granite countertops, covered verandas and an outdoor pool. 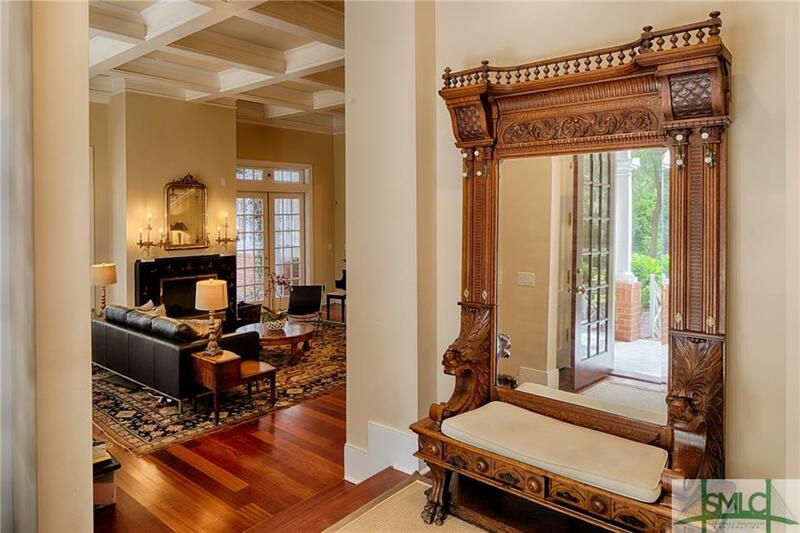 Custom built by Don Reese, this immaculate Italianate home boasts 12-foot ceilings and a formal dining room with a dramatic crystal chandelier and sumptuous silk curtains handcrafted in Italy. 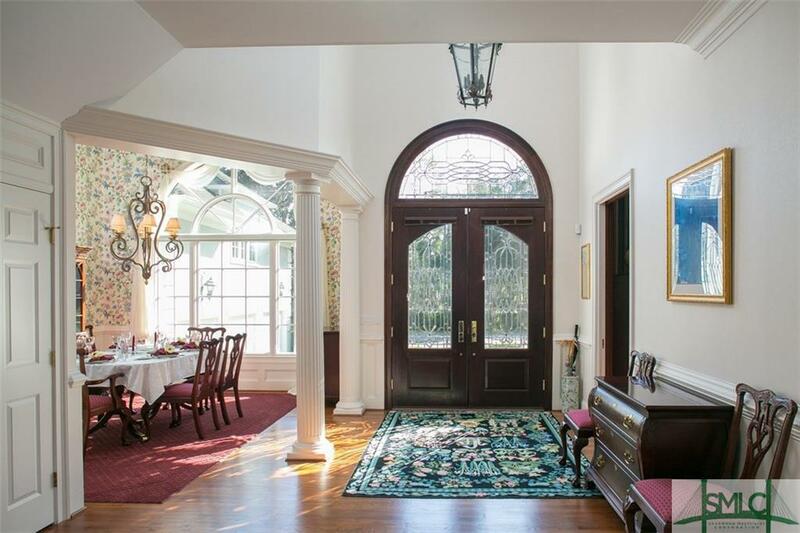 A wall of Palladian-topped French doors offers abundant natural light as well as easy access to the veranda and pool. 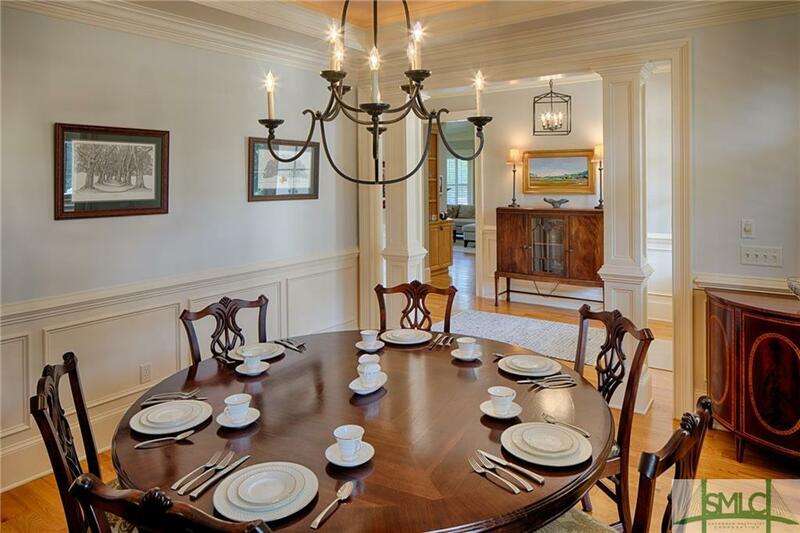 A chefGÇÖs kitchen includes a spacious dining area and high-end appliances. 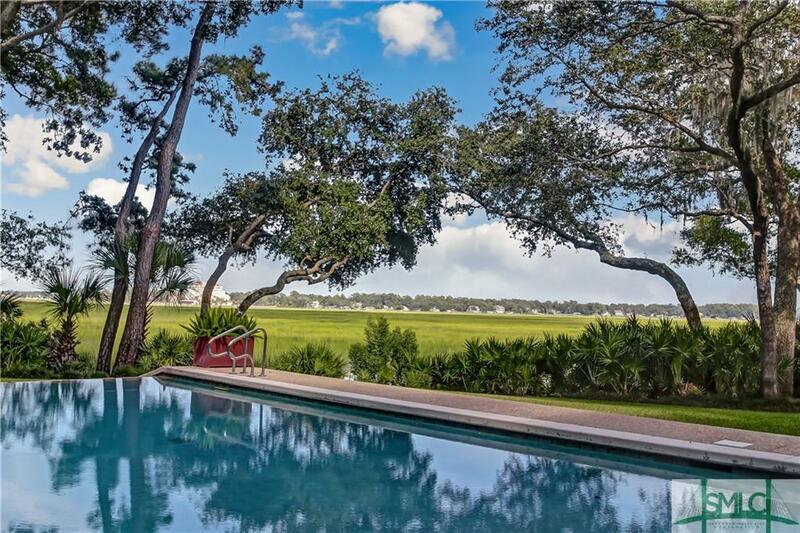 This marshfront sanctuary includes 10 hand-painted ceilings, 4 gas fireplaces and the very best of indoor and outdoor living. A 2-bedroom, 2-bath guest suite includes a full kitchen, living room and more. 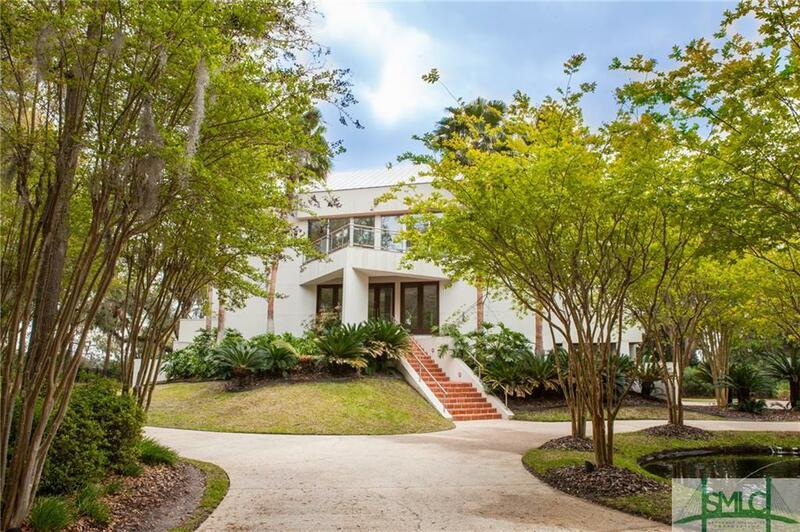 Island living reaches its peak at this majestic 4BR/4.5BA home, nestled in the exclusive, private, gated Isles of South Harbor. 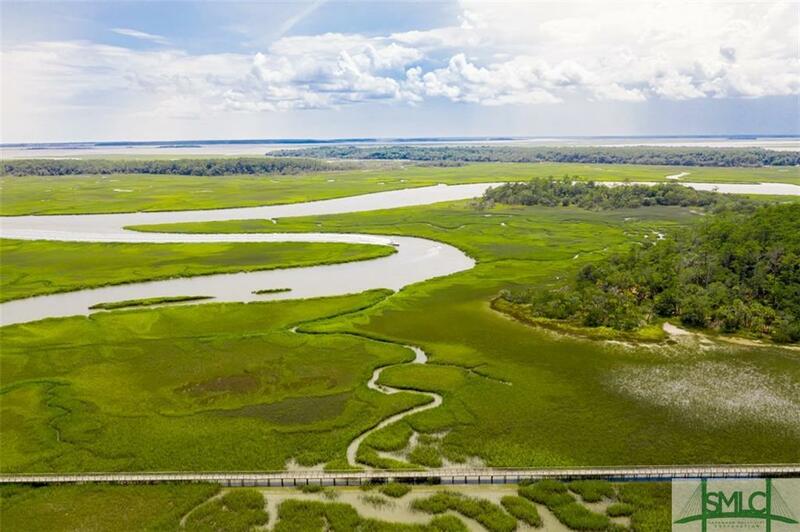 Enjoy extraordinary panoramic waterfront views, luxury appointments & the very best of coastal life on Skidaway Island.One of the areaGÇÖs most exquisite waterfront homes, this move-in-ready property, located 25 minutes from downtown Savannah, is defined by shimmering river & marsh views. 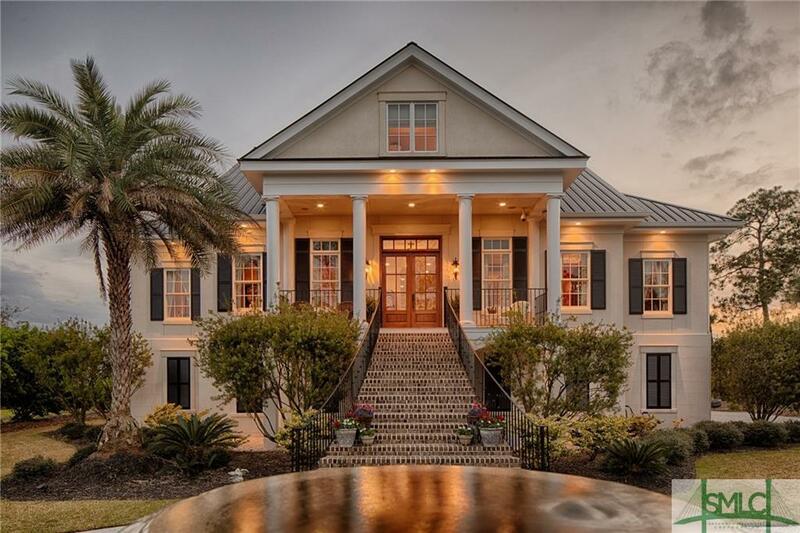 Infused with natural light, the home features a chefGÇÖs kitchen with granite countertops, center island, high-end stainless steel appliances, custom wood cabinets & more. 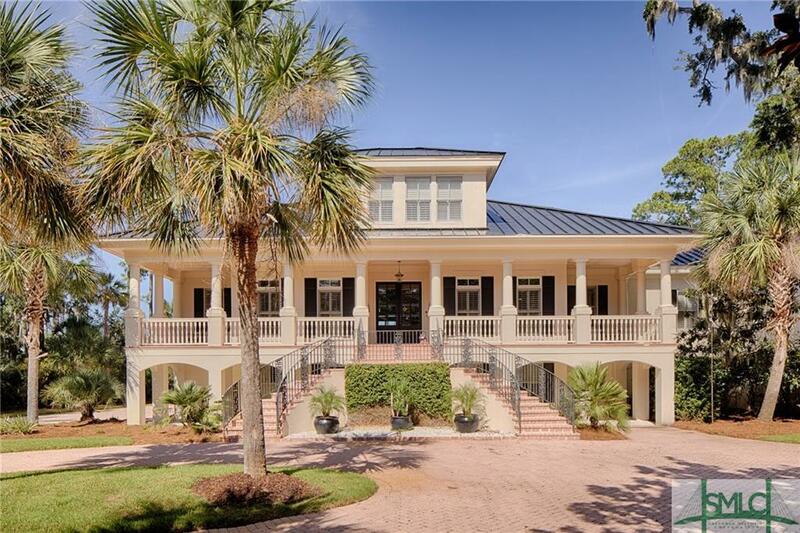 Highlights include a master suite on the main level, formal dining room, living room with fireplace, elevator, home theater, gym & saltwater pool with spectacular waterfront views. 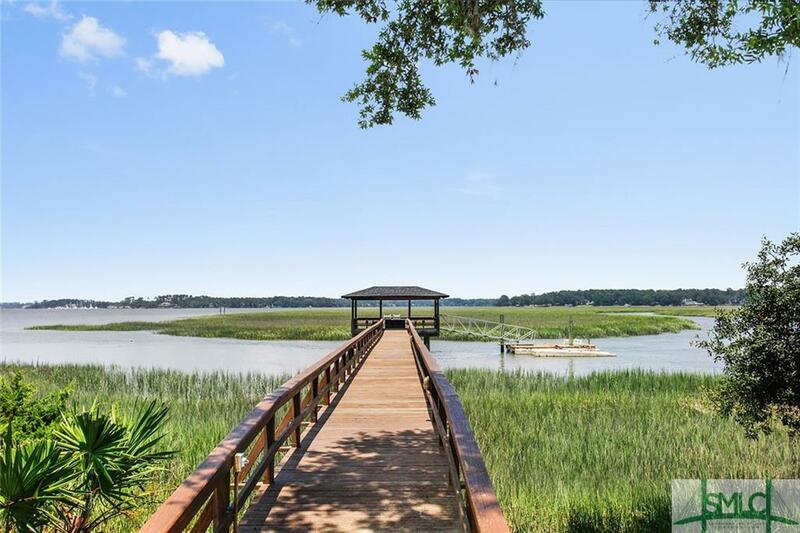 A deepwater dock w/50-foot boat slip are ideal for recreational boaters. Access to South HarborGÇÖs community pool, tennis facilities & marina are included. This location was previously VE & recently changed to more favorable AE zone. 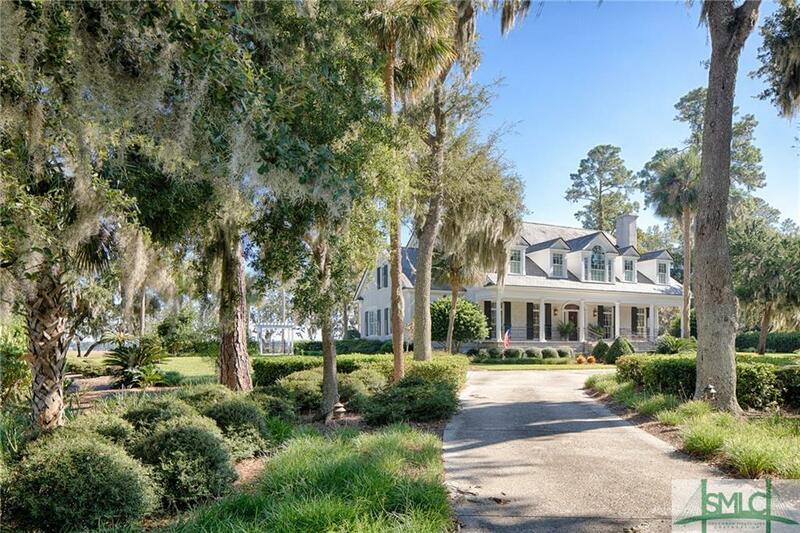 Welcome friends and family to this spectacular Georgian Revival-style home, located in the exclusive Midpoint neighborhood of The Landings. 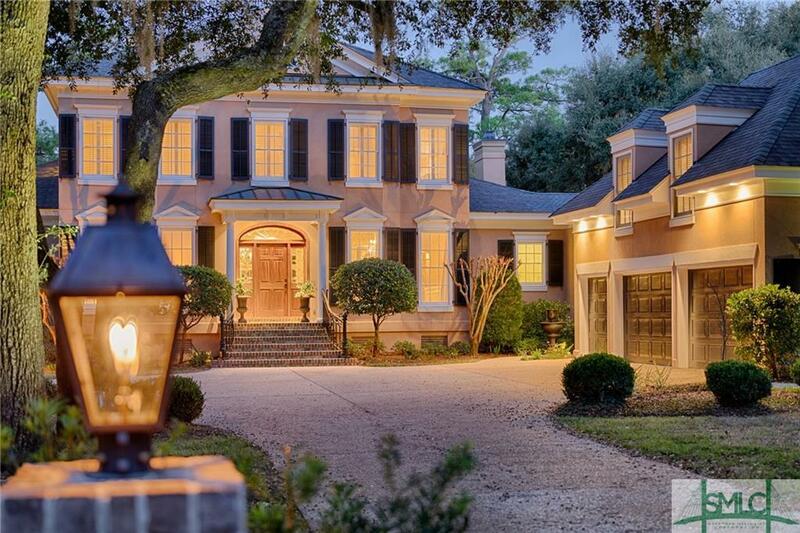 Custom built by one of SavannahGÇÖs most successful entrepreneurs, this exquisite estate has been featured in Southern Living. 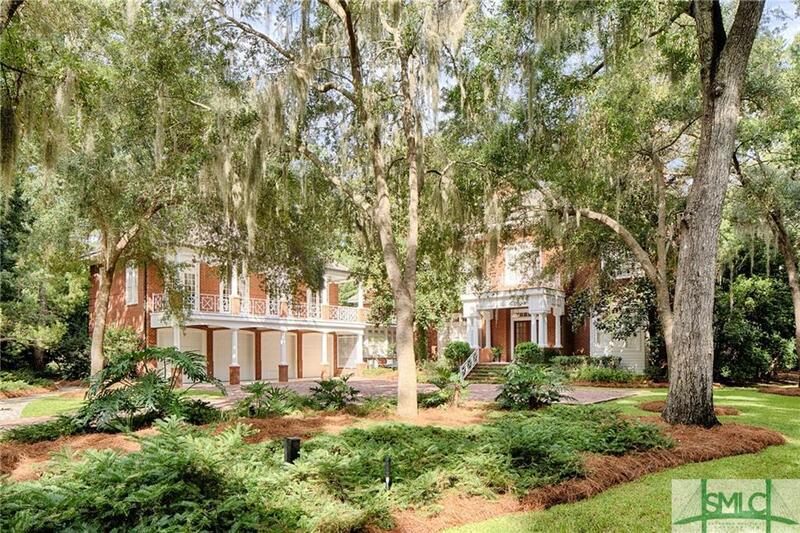 Its brick and slate exterior hints at the gracious living spaces and incredible architectural details inside. 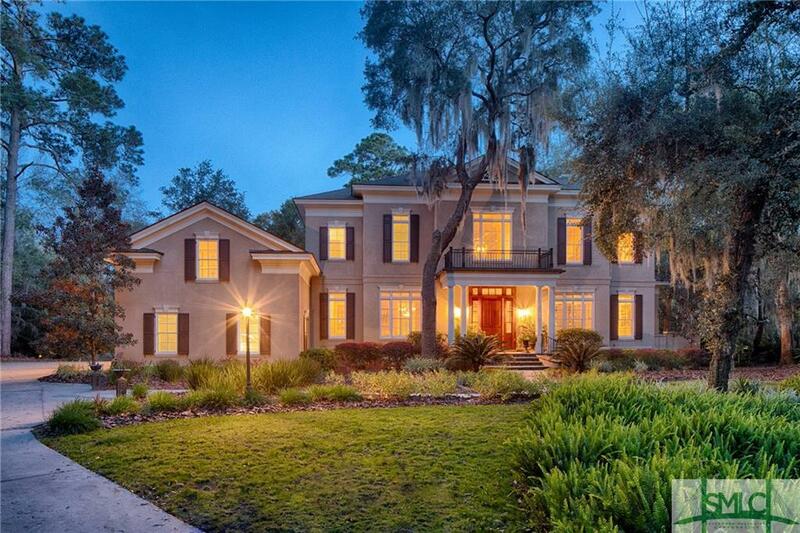 French doors throughout open onto elegant porches, gardens, and fountains made for enchanting entertaining. 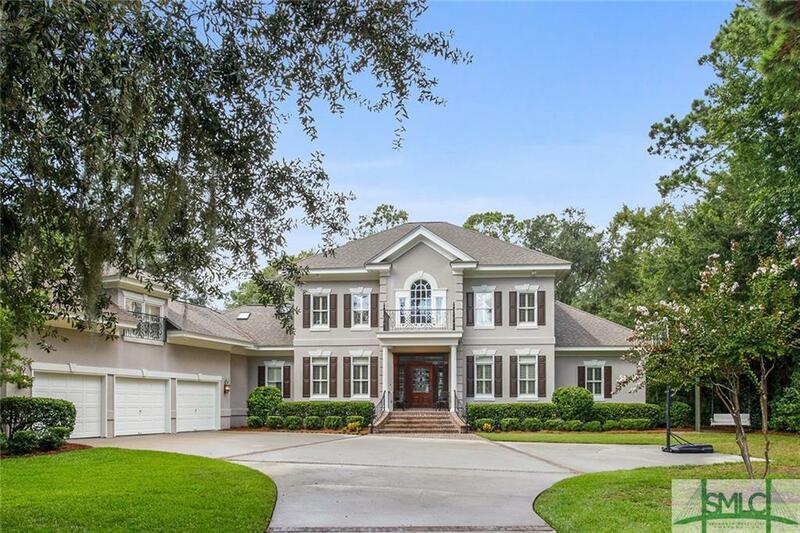 Master suite on the main floor boasts a private study, custom-built cabinetry, his and hers walk-in closets, and a Master bath with an oversized Carrara marble shower. The spacious chefGÇÖs kitchen is appointed with natural quartzite countertops, Dacor and Sub-Zero appliances, a walk-in china closet, and a ButlerGÇÖs Pantry with prep kitchen. 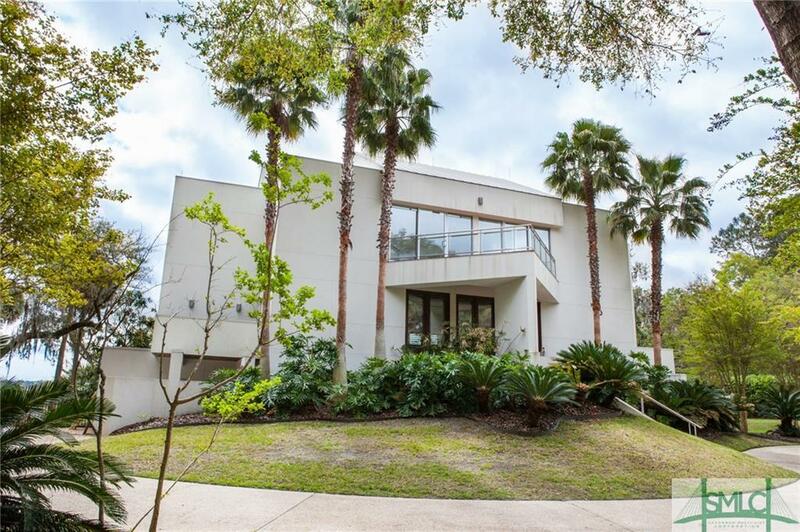 Highlights include spacious living room with fireplace, game room with wet bar, an oversized family room with wet bar, and a four-car garage with private guest residence above. 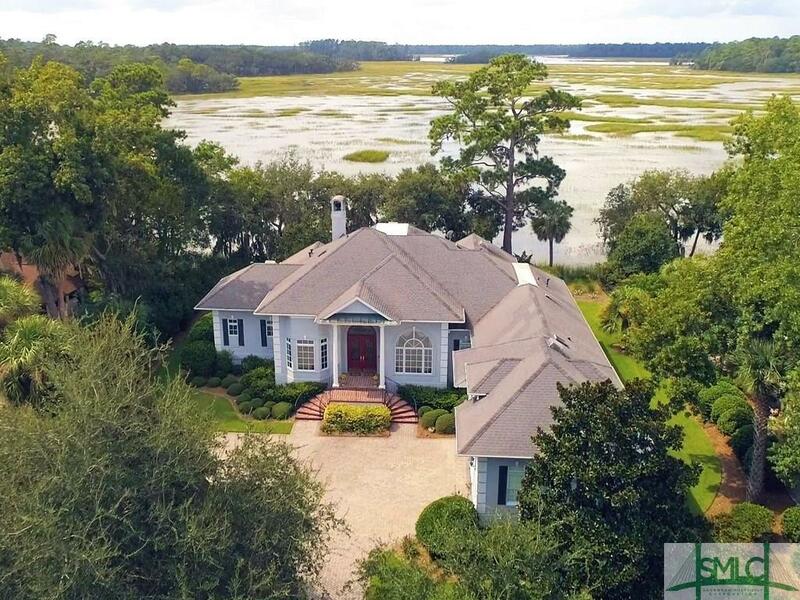 Enjoy the sweeping views of the marsh, Intracoastal waterway, and Isle of Hope from your beautiful screened in porch. 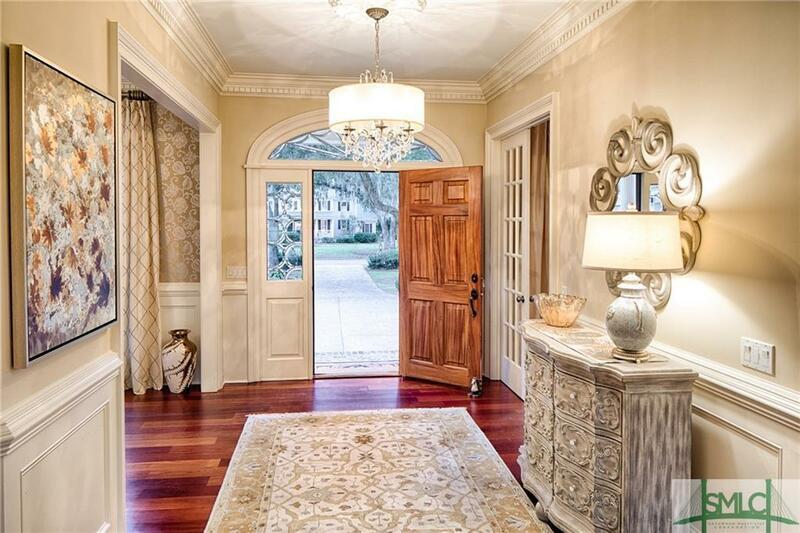 Foyer entrance with LG hallways, dining room, ofc with built-ins, master on main with his & her walk-in California closets, kitchen with granite and center island, new ss appliances, pantry, outdoor cooking/grilling station just off the kitchen with built in grill. 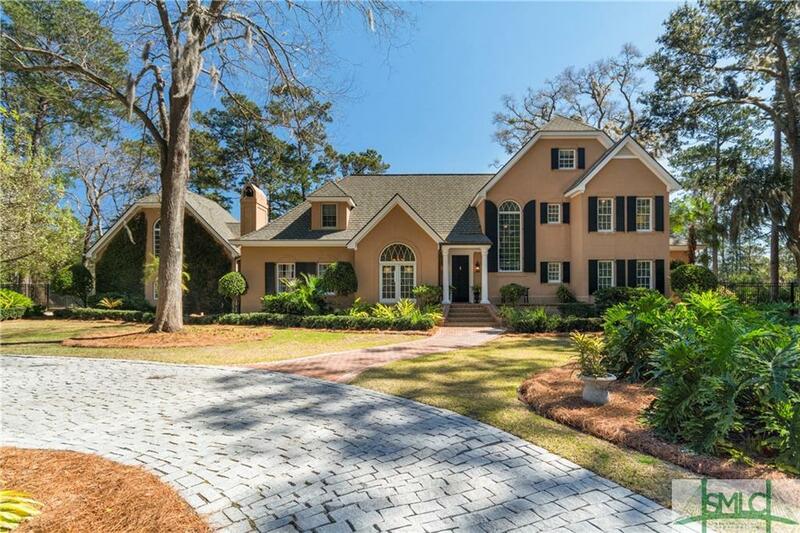 Large sitting area off the kitchen w/cove ceiling, wet bar, security system, exercise room, laundry room, bonus room/4th bedroom with full bath. 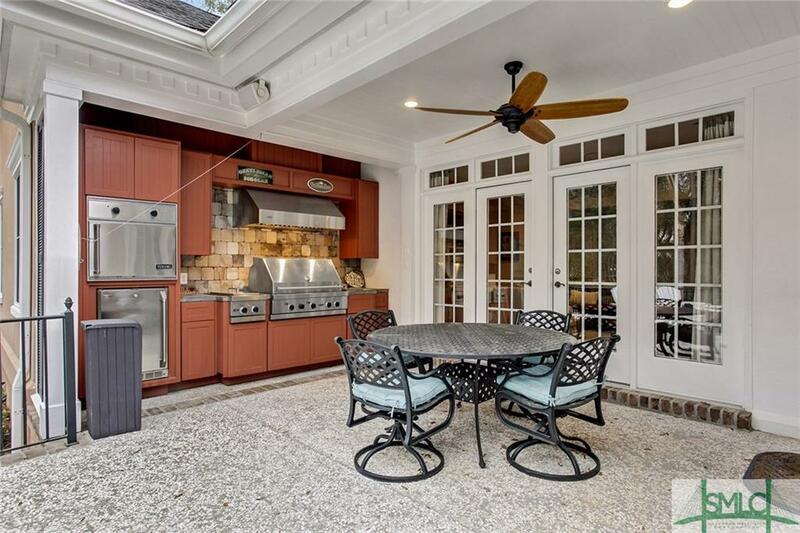 Custom built-in cabinets throughout the home along with a sound system throughout the home including screened in porch and grill deck. Two bedrooms up, each with full bath and sitting area with walk-in California closets, hardwood floors, gas fireplace & Hunter Douglas shades. 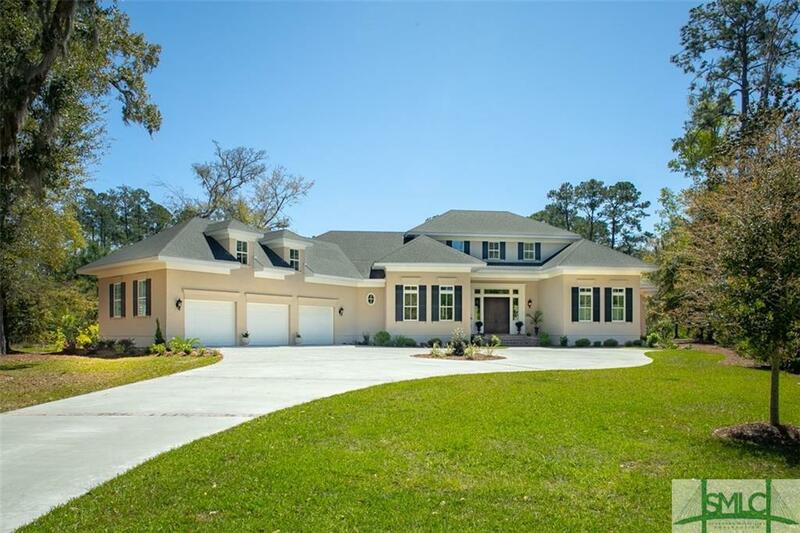 Large 3 car garage with work area, brick paver driveway and full cement crawl space with fans, sprinkler system, outdoor landscape lighting and whole house water purification system. 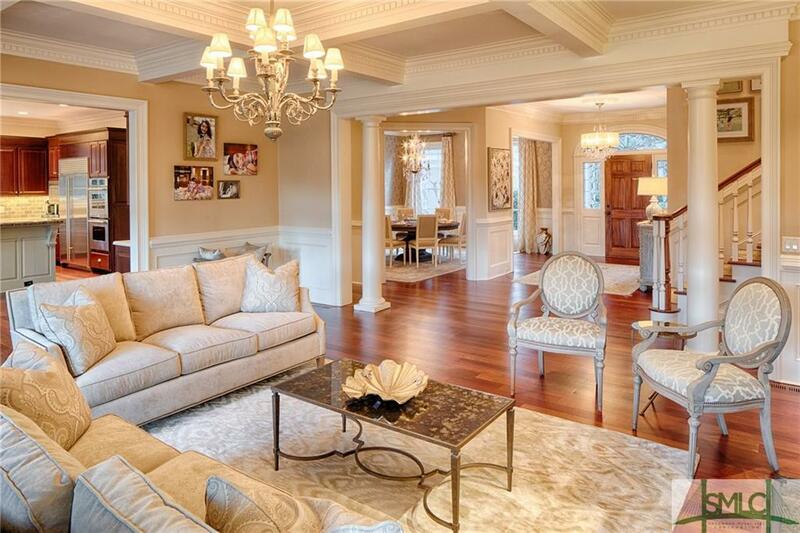 Located in the heart of one of The LandingsGÇÖ most prestigious communities in Midpoint, 2 Harvest Lane is an incredible custom home on a large lot with spectacular architectural design. 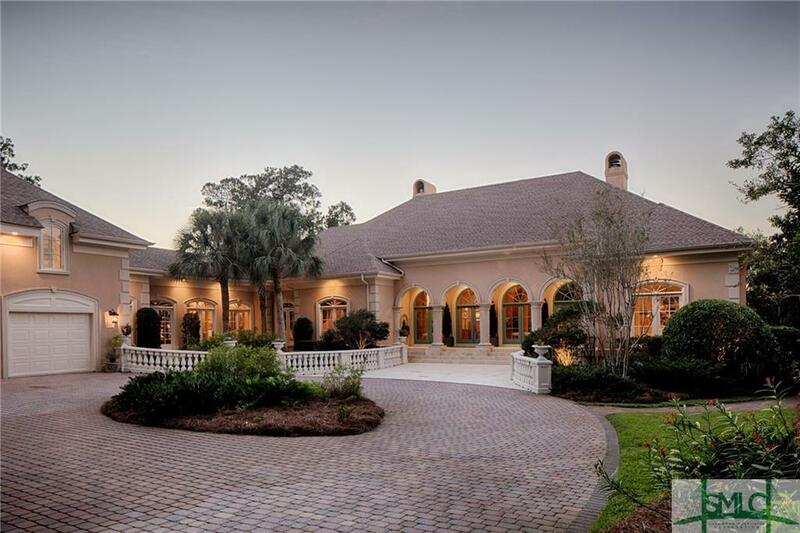 Upon entering this magnificent residence, you will be wowed by 30-foot ceilings, an intricate custom wrought iron staircase, a 592-bottle wine cellar and a seamless flow of space that makes it the ideal setup for entertaining. The large master suite features massive walk-in closets, double vanities, deep soaking tub, and a separate shower. 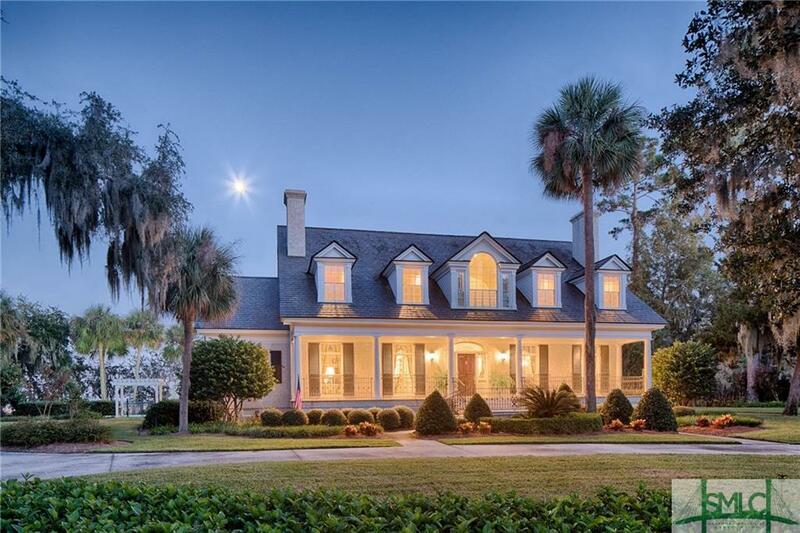 The property has room for a pool, and in addition to four upstairs bedrooms (all with en-suite bathrooms) there is a guest suite, large screened porch, three-car garage and so much more. 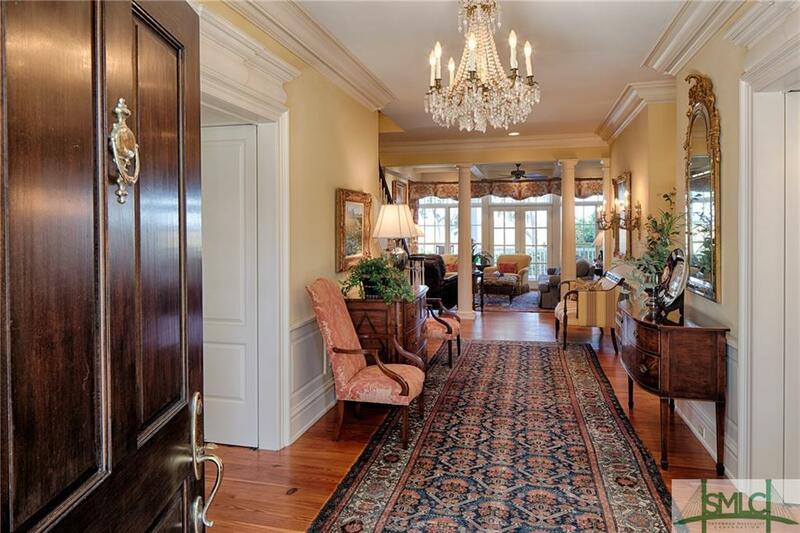 Grace and beauty abound in this estate-sized traditional 5-bedroom, 5 -+ bathroom Midpoint home. 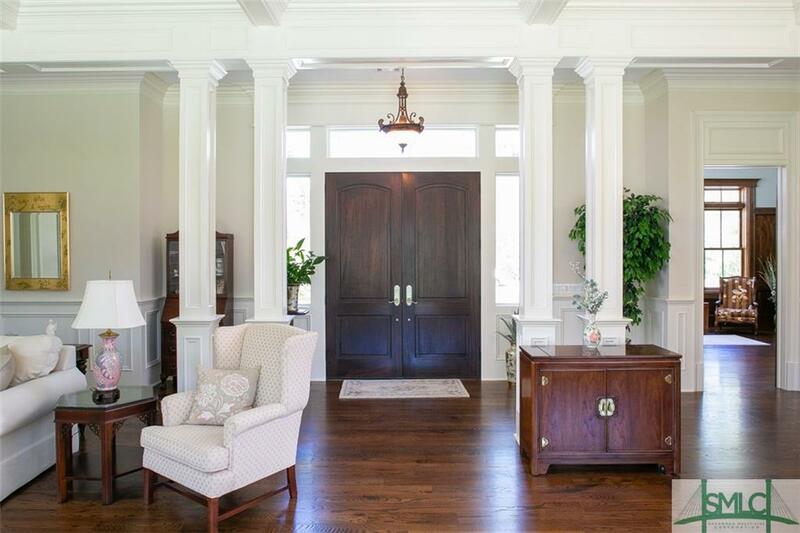 Beautiful 2-story foyer welcomes you into a home any family will enjoy. 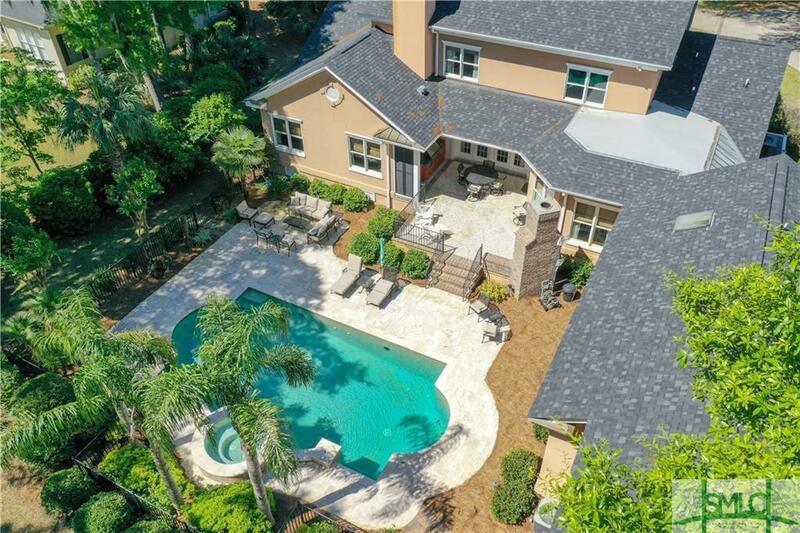 Home boasts gracious living spaces with beautiful millwork and hardwood floors throughout the downstairs, as well as wonderful outdoor entertaining space with a magnificent pool and spa! A living room with fireplace, study, chefGÇÖs kitchen with center island and breakfast bar that opens to family room with fireplace that accommodates large gatherings. Master suite with updated bath completes the downstairs. 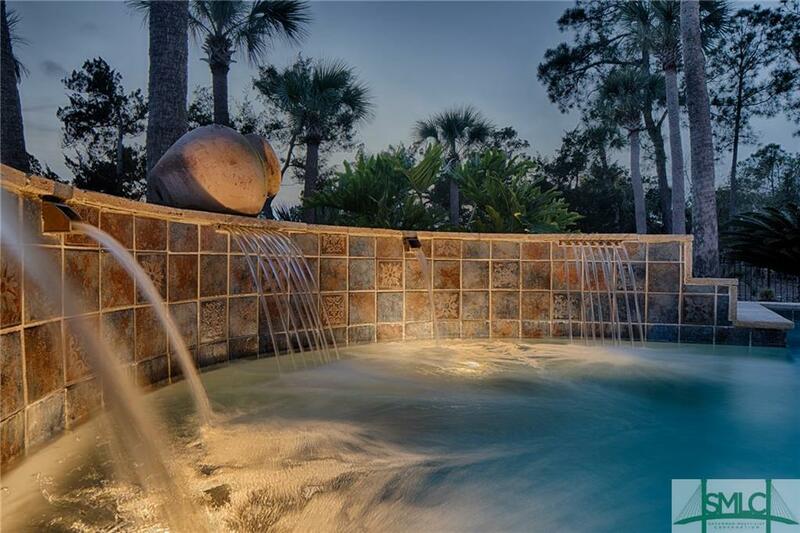 Upstairs you will find 4 bedrooms and 3 bathrooms. Large bonus room with bath above the garage.